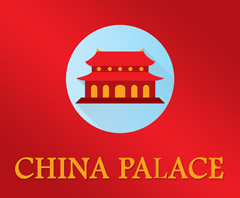 Online ordering menu for China Palace Restaurant. Bourbon Chicken, Imperial Shrimp Bowl, and Honey Chicken are just a few items on our menu here at China Palace Restaurant! We also serve Teriyaki Steak, Spicy Chicken Wings, and Hot & Sour Soup. We are conveniently located on National Rd between Union Blvd and Heather St. We're just west of Englewood Recreation Reservoir and East Park. Order online for carryout or delivery!